Neonatal hepatitis occurs when an infant has liver inflammation 1-2 months after birth. It is estimated that approximately 20% of infants with neonatal hepatitis were infected prior to birth or shortly thereafter by an infected mother. Most infants who develop neonatal hepatitis will recover. 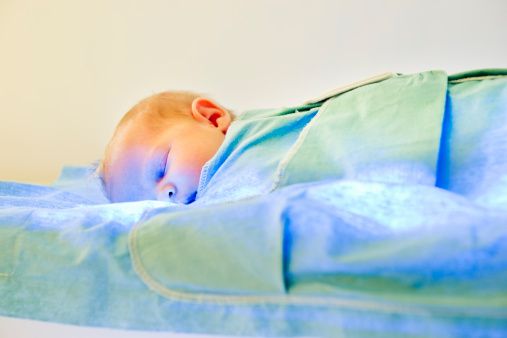 About 20% of infants infected will develop chronic liver conditions. If the infection is still present after 6 months, a liver transplant may be required. Infants with chronic neonatal hepatitis are unable to digest fats or absorb the fat-soluble vitamins (A, D, E, and K), resulting in poor bile flow and liver cell damage. Fat-soluble vitamins are essential for infant development, and without them the infant may fail to thrive. Vitamin A is responsible for growth and vision. Vitamin D affects bone and cartilage development. Vitamin E helps with movement and coordination. Vitamin K prevents bruising and reduces the tendency to bleed. Infants who have been infected with a cytomegalovirus or with rubella are at risk of developing a brain infection that can lead to severe intellectual disability or cerebral palsy. Viruses causing neonatal hepatitis include a cytomegalovirus, rubella (measles), and hepatitis A,B and C. In nearly 80% of infants with neonatal hepatitis, a specific cause remains undetermined. Some experts believe that a different virus could be responsible for these cases. Neonatal hepatitis is similar to another infant liver disease, biliary atresia. A blood test can differentiate between the two. There are no specific treatments for neonatal hepatitis. Doctors will generally recommend vitamin supplements and medications to stimulate bile flow. Switching to a baby formula with easier-to-digest fats may also be recommended. Infants with neonatal hepatitis can spread the virus through close contact. To prevent further infection, pregnant women should avoid infants with neonatal hepatitis. Neonatal hepatitis is estimated to affect 1 in every 2500 births. Although the reason is unclear, neonatal hepatitis affects more male than female infants. Neonatal hepatitis affects infants of all ethnicities equally.